This is quickly becoming a favorite side dish at our house. The Brussels sprouts have a great flavor when they are roasted, and the addition of bacon pieces gives it a nice smoky edge. Then we used a balsamic vinegar reduction to drizzle over the top giving it a little explosion of sweet and tangy at the same time. We used an Espresso balsamic vinegar and a Coratina olive oil. This dish goes well with many main dishes. We think it goes particularly well with grilled pork chops and sausage dishes. 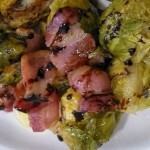 3) Cut bacon into 1" pieces and scatter over Brussels sprouts. 4) Lightly brush bacon and Brussels sprouts with olive oil and sprinkle with onion salt and black pepper. 5) Place cookie sheet in oven and roast for about 30 minutes, or until bacon begins to crisp. 6) Pour the balsamic vinegar into a small skillet and cook over medium heat about 10 minutes until thickened and reduced by about 1/2. You should have about 1/4 cup of liquid when it's done. Remove the Brussels sprouts and bacon from the oven and serve immediately. Lightly drizzle the balsamic reduction over the Brussels sprouts to taste. 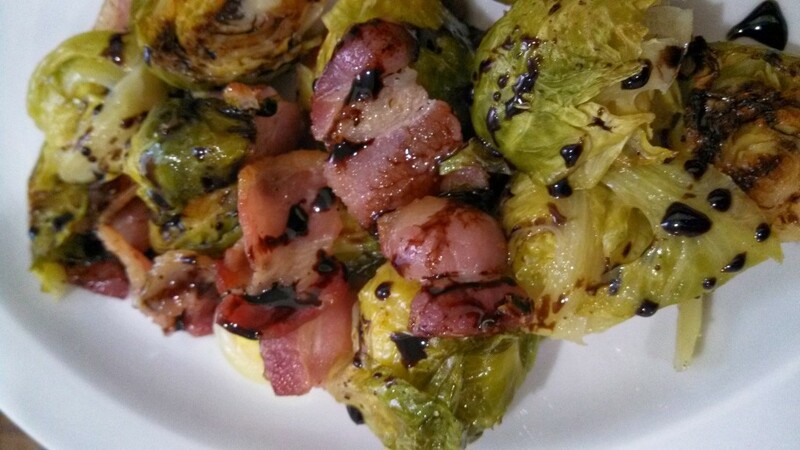 Roasted Brussels Sprouts with Bacon and Balsamic Reduction. 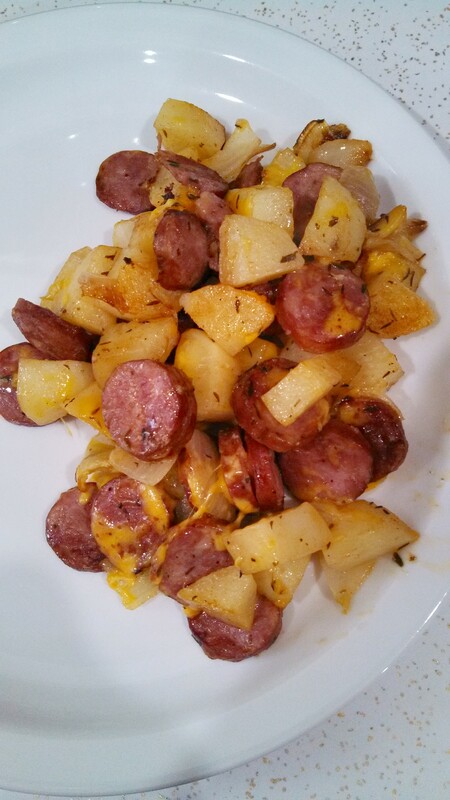 A great side dish that is really versatile and has a wonderful flavor. I never knew I liked Brussels sprouts until I made up this way of making it. I had to find a way to make it that would satisfy a bunch of hungry folks expecting cooked cabbage on St. Patrick’s Day but that didn’t require the use of a stove burner. 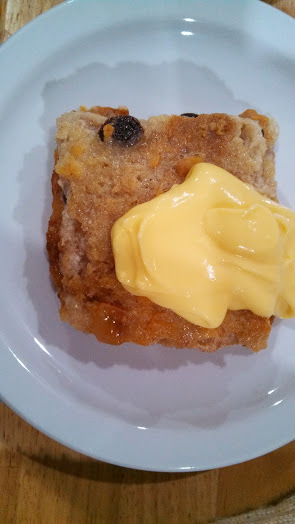 So, we dug out a bunch of recipes, combined them, and got this.